The Jetsons would be proud! A gizmo as cool as Roomba just begs to be hacked. Now, with this book and the official ROI specification furnished by iRobot?, you can become the robotic engineer you've always dreamed of being. Build a Bluetooth interface for your Roomba. Turn it into an artist. Install Linux on it and give it a new brain. Some hacks are functional, others are purely fun. All of them let you play with robotics, and not one will void your warranty. Build a serial interface tether. Set up a Bluetooth? interface. 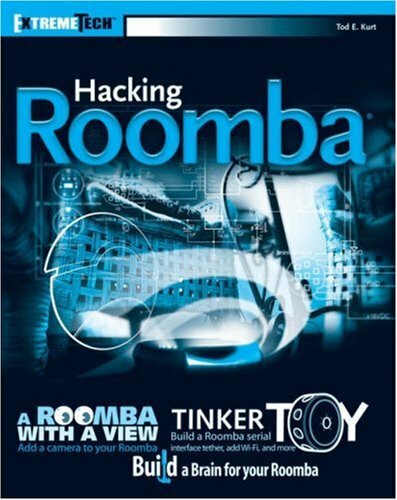 Use your Roomba as a mouse. Connect Roomba to the Net. Features a companion Web site. All this and it will still clean your floor! Get the official iRobot Roomba Open Interface (ROI) specification and all code presented in the book in ready-to-run form at wiley.com/go/extremetech.